Home Unlabelled Ghen! Ghen! War In Nollywood Over Piracy! Ghen! Ghen! War In Nollywood Over Piracy! The blame game is always a dirty game. And it gets dirtier when it is played with coloration that may have some racial or tribal undertones. This is something Nollywood actor and producer, Kunle Afolayan learnt the hard way when he vented his anger through tweets over the pirating of his latest movie 'October 1'. As soon as he tweeted that most (over 90%) sellers of pirated movies are Igbo he was besieged with scathing comments from his colleagues, who are of Igbo extraction. Most of his colleagues, including Uche Jombo, Zik Zulu, Charles Novia, to mention but a few, swooped on him to challenge his allegation which most of them, being Igbo, felt was a direct insult on their kinsmen. Kunle immediately deleted the tweets and apologised to his colleagues, but the damage was already done and few thought the apology was a cheap way out. Since then, his tweets have been subject of discussion, hot debate and even division among practitioners. Perhaps, the most venomous critic of Kunle's summation on the matter of piracy in the country is Charles Novia, a Nollywood practitioner renowned for his acerbic comments on the people of the make-believe world. Charles Novia openly attacked Kunle and likened his situation to that of Nollywood star, Mel Gibson, who according to Charles, went under and lost his relevance, after his much publicised anti-Semitic rants against Jews. Obviously moved by Kunle's reaction to his earlier summation on Kunle's reference to the Igbo as the dominant tribe in the shady business of piracy, the Nollywood critic felt he was misunderstood and sought to clear the air. "It is unfortunate that people don't read very well or if they do, they prefer to see what they want to see rather than what was intended", he began. "Kunle Afolayan mentioned that in comparing his statement about Igbo pirates to Mel Gibson, that I wished his career an automatic death. On my blog, here's what I wrote in that paragraph "
How that wishes him ill beats me. I don't have to defend myself to anyone on things I write. No one. Ascribing an opinion to one being jealous of another person's progress is common in these parts and don't faze me. October 1, I reviewed and gave high props on blogs and tweets since last year. On this group yesterday, I gave a concise treatise on piracy across tribes. It's small minds who see failures in other people's successes. At the risk of being immodest, I have gone beyond Nollywood and presently about to launch my own TV channel in November/December. Won't content providers like Kunle benefit from such?" he shot back. I have tried as much as possible to restrain myself from engaging in trade of words with colleagues all in the name of "it's is one industry" but the truth is, there has never been one industry and there never will be one" he says in his reaction posted on a Naijahottestgist platform. 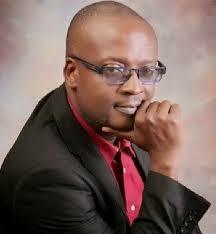 "When I cried out last week about the piracy development, the likes of Charles Novia. who, in his article mentioned he likes me bla bla but doubt if I will ever rise again comparing me to Mel, ARE YOU GOD? I stand here to tell you that 100 million of you cannot stop me nor my progress. My tradition as a Yoruba man frowns at disrespecting of elders whether in age, rank or status which was why I have tolerated some of you up till now". "I am not an hypocrite but a professional filmmaker and practitioner. How many of you have taken out time, resources and energy toward film projects? I have always accorded my senior colleagues the respect due to them including Charles, Fidelis & co but it is so clear that success has more enemies than friends. I am tired of all these Ojuaye champagne. Like I said before, it is my turn now, it may be your turn tomorrow. Just wait and see how these whole thing will turn out. With God and sincere supporters on my side, I shall triumph" he said.